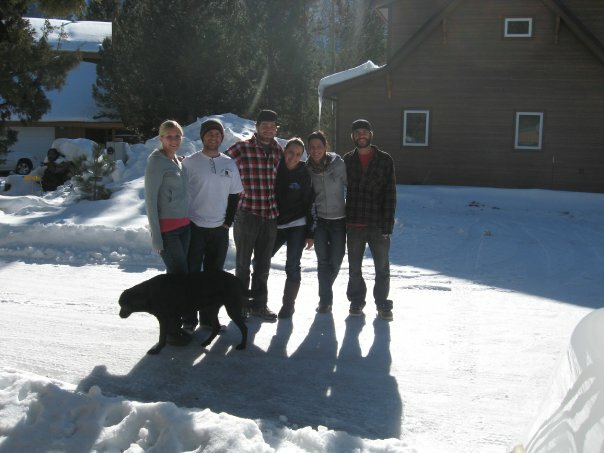 Last year for New Years, our friends Roxanne and Ryan invited us up to Ryan’s parents’ cabin in June Lake. 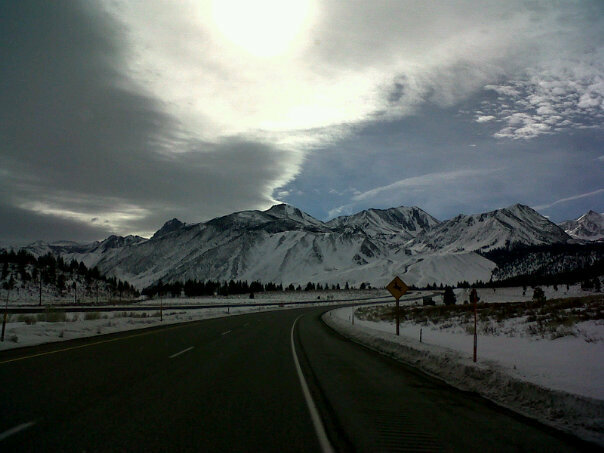 June is about 20 minutes from Mammoth, so it is a great place to enjoy the snow and beautiful scenery. This year, we invited ourselves. It was a smaller group, but still tons of fun. I made a checklist of things I wanted to do this year that I didn’t get to do last year. First on my list was to make a snowman. Isn’t she adorable?? Best snowman… I mean woman ever! 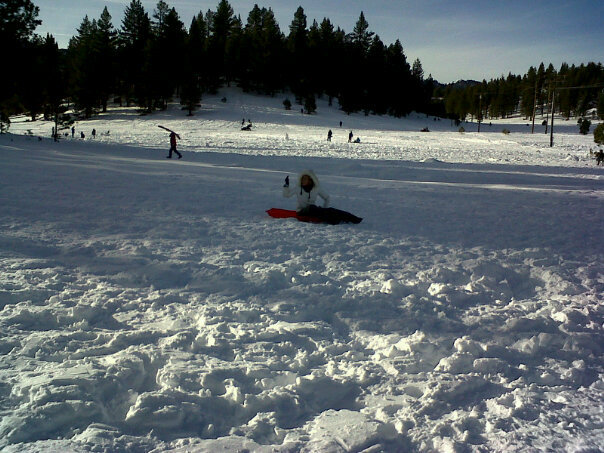 I also wanted to make a snow angel. Good thing I was wearing my dorky, but warm snow gear! 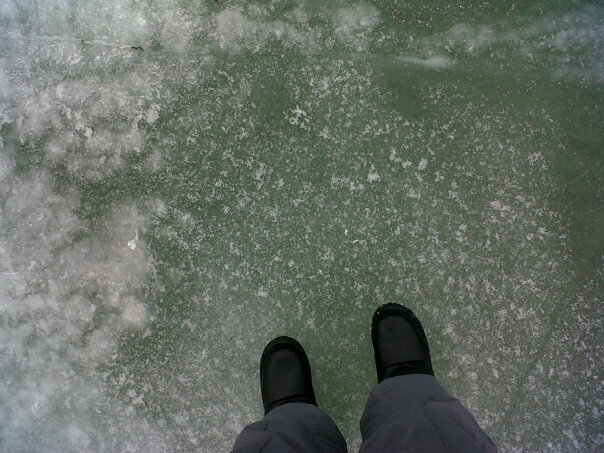 Ok, this one wasn’t actually on my list, but I’m glad I did it: I walked on a frozen lake! I was pretty scared, but just took a breath and went for it, and, well, I’m still alive! It was really cold and nearly snowing that day, so that made me feel more secure as well. I really wanted to ride the gondola to the top of Mammoth Mountain and it was soooooo scary! Again, glad I faced my fears and went for it. Also glad I had a cocktail at the top so the ride down wasn’t so terrifying. The last thing on my list was to go sledding. The hill we chose was very scary. People were flying all over the place and some were even badly injured. I just went about a third of the way up the hill so I could check it off my list without breaking any bones. In this photo, I believe I am flipping off Mike for ditching me. He was supposed to ride with me, but just shoved me off instead. It was a fun trip, but too long to be away from my puppies. Good thing we had Sophie to keep us company!